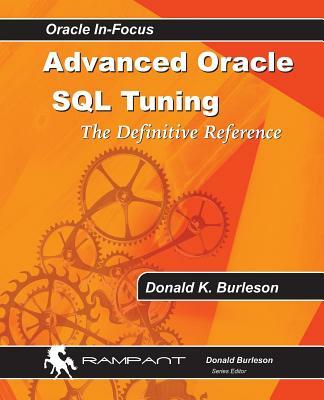 6It's impossible to tune an Oracle database without understanding SQL tuning. Oracle is a SQL processing engine and the execution speed of any SQL query is influenced by many factors, both internal and external. As a declarative data access method, SQL relies on the Oracle cost-based optimizer to always choose the "best" execution plan for every SQL query. However, Oracle's SQL is among the most flexible and robust in the world, and along with this great power comes complexity. Tuning Oracle SQL is the single most important skill of any Oracle professional, and Oracle professionals are challenged to create SQL statements that will support thousands of concurrent executions with sub-second response time. "Advanced Oracle SQL Tuning" is a pragmatic treatment of Oracle SQL tuning, short on theory and big on real-world techniques and tips. This book is the culmination of the author's 25 years of full-time DBA experience and he shares expert tips and secrets for hyper charging SQL execution speed. This book covers advanced topics and it is not appropriate for beginners, dilettantes or neophytes.